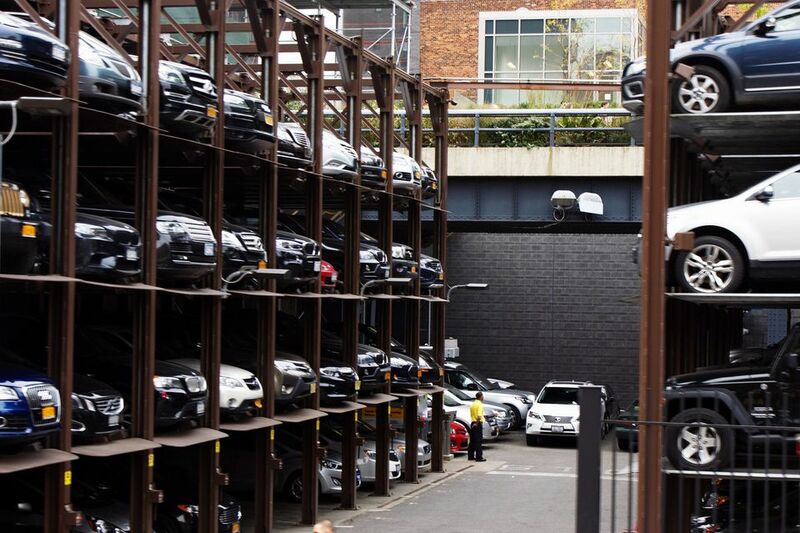 Parking in New York City can be expensive, but luckily, there are a number of ways to save money. Here are a few tips for the brave souls willing to drive in NYC, whether you're looking for a spot for a few hours or overnight parking. If you’re staying at a hotel, look into the hotel’s parking rate for guests. They're usually competitive and can even be cheaper than other alternatives—but not always! Also check whether or not there's a self-parking option, as valets are always more expensive (though the convenience is nice). While finding an open parking space may not be easy—not to mention there's parallel parking to contend with—you can save a lot of money if you do. Most spots in Manhattan are metered by the hour, and many blocks allow you to pay via a machine that accepts credit cards instead of just quarters. In some neighborhoods, however, there might be free street parking. Be sure to check street signs to confirm, and review parking rules using NYC's web application for on-street parking. Also keep an eye out for exceptions, as many spots have certain hours that are blocked off for things like street cleaning or deliveries. These can vary on a block-by-block basis and differ from the left to the right side of the street. If you're lucky enough to find a parking space, you can move around the city via the subway or buses. There are a number of interactive websites that show parking rates from multiple companies all in one place. BestParking, for instance, has a map that shows different parking locations and highlights which ones offer reservations and/or guaranteed rates. (Pre-reserved spaces are generally cheaper than the drive-up rates, but more on that later). There are also cell phone apps to locate parking spots, garages, and even bike racks. Aside from its website, BestParking also has an app that provides a fast, fully-functional scrolling map that highlights city parking regulations, garage prices and times, and even shows which on-street parking spots are about to become legal: for example, a delivery space after 7 p.m.
Another great option is ParkWhiz which has a parking map with rates and reviews of parking facilities. Prices can vary by just a few blocks, so it's best to check out all your options on such sites and apps. A number of the main parking garage systems offer discounts to travelers who reserve a space in advance. For instance, SP+ provides a steeply discounted flat-fee coupon online, though it's only good for specific dates, hours, and garages. If the garage doesn't make you pay in advance, consider making a backup reservation in case you don’t like the looks of your first choice. If you frequently travel to NYC by car, consider a buying monthly parking pass or signing up for a customer loyalty program. Some parking garage systems offer steep discounts for monthly pass holders. For example, ICON parking runs a loyalty program that gives drivers 50 percent off every rate at every ICON garage every day. That’s a hard deal to beat!